The silence of the acclaimed Buddh International Formula 1 Circuit in Greater Noida will be once gain broken but this time by roar of mammoth engines of heavy modified trucks on March 15 . 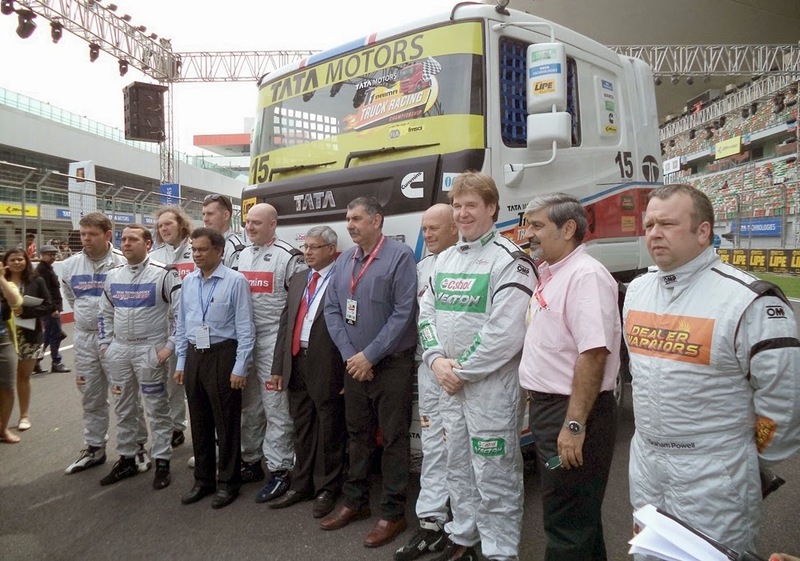 Twelve racing behemoths weighing about six tonnes each will burst into sight during the T1 PRIMA Truck racing championship being held in the country for the Second time by Tata Motors. The six teams for the T1 PRIMA TRUCK RACING CHAMPIONSHIP SEASON II are Participating teams and drivers are Castrol Vecton (Stuart Oliver and Oly Janes), Team Cummins (Mat Summerfield and Simon Reid), Tata Technologies Motorsports (David Jenkins and Steven Powell), Allied Partners (Steve Rothery and Chris Levett), Dealer Warriors (Richard Collett and Graham Powell), and Dealer Daredevils (Ben Horne and Paul Alan McCumisky). Mr. Ravindra Pisharody Executive Director, Commercial Vehicle Business Unit, Tata Motors Ltd. said,”A much awaited SEASON II of the T1 PRIMA TRUCK RACING CHAMPIONSHIP, we at Tata Motors are thrilled to bring this grand spectacle of truck racing to our audiences yet again. Having established itself within a year among the motorsports and trucking fraternity, for us the T1 PRIMA TRUCK RACING CHAMPIONSHIP has opened up a new vista in showcasing what a winning product like the PRIMA is really built on. The entire T1 race has been planned and is being executed by well known Integrated event management and marketing company T.I.C headquartered in Delhi. The Tata Prima T1 Modified trucks inspected and assessed by FMSCI to ensure that they are race ready with fresh technical modifications including Optimized Drive Train for top speed of 135 kmph, Lighter aggregates for weight reduction, Lower chassis height (CG) for better stability, improved caster for better handling at high speed, New improved brake cooling system, bigger dia steering wheel for better ergonomics and efforts and New exteriors. The main highlights of the Tata Motors T1 Truck racing will be gala opening and closing ceremony with Manish Paul as a host , bollywood celebrities Shankar , Ehsaan & Loy along with performances by Badshah and Benny Dayal, Harley Davidson bike race, and merchandise shops, test drives on trucks for public & media, food court with kid’s fun zone where there will be games and special cartoon characters for kids to play. Both the organizers TATA Motors & the event management company T.I.C. executing the T1 championship have a challenging task at hand to bring to life this spectacle for the Indian audience. Click to read about Dwarka Parichay coverage of last years TATA MOTORS T1 PRIMA TRUCK RACING . Why DDA is NEGLECTING THE DWARKA SUB-CITY ?